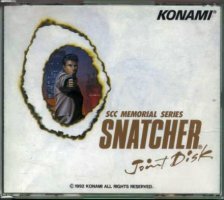 SD-Snatcher is one of the games that uses a combination of the 3 channel PSG in the MSX and Konami's 5 channel SCC chip for music and soundeffects. SCC stands for Sound Custom Chip. 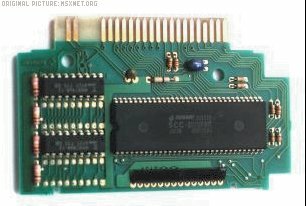 This wavetable soundchip was used by Konami in some of their MSX games, like Kingvalley 2, Solid Snake and Space Manbow. It was also used in some Konami arcade games. 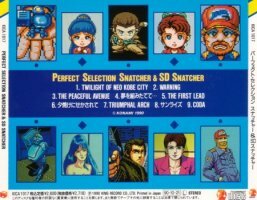 The great music in SD Snatcher is composed by Masahiro Ikariko. There are several cd's containing this music in either arranged versions or even with the original SCC sounds. 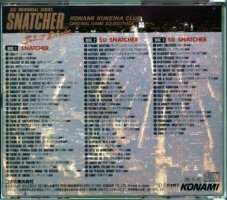 This cd contains arranged versions of the music in Snatcher and SD-Snatcher. Some music even has vocals. I like this cd very much, It is well arranged but still very recognizable. This package contains 3 cd's with the original SCC music from both Snatcher and SD-Snatcher. 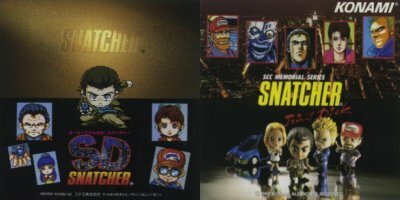 Cd 1 covers Snatcher, while cd's 2 and 3 are entirely filled with SD-Snatcher music.